For millions of savvy shoppers, Marshalls is a source for affordable fashions. The retail chain sells clothing, accessories and shoes from top designers, but at discounted prices. While buyers for full-price stores have limited buying seasons, off-price buyers shop 52 weeks a year, bargaining with 14,000 vendors in dozens of countries, so shoppers will find the current season's trends, along with a few past-season leftovers. Major department stores rely upon their buyers to select seasonal inventory. One of the buyer's main responsibilities is to predict the season's hottest trends and then stock the appropriate apparel. However, buyers often overestimate the amount of inventory that is needed. So, by the end of the season, the store has a large amount of clothing that is no longer in season. To make room for new inventory and prevent further loss of profit, department stores often sell their overstock to stores like Marshalls. 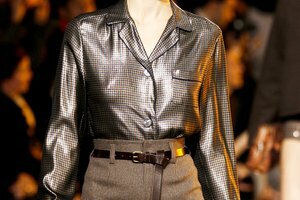 But this accounts for only a small percentage of the stock, about 85 percent of which is current season, the company's spokesmen say. 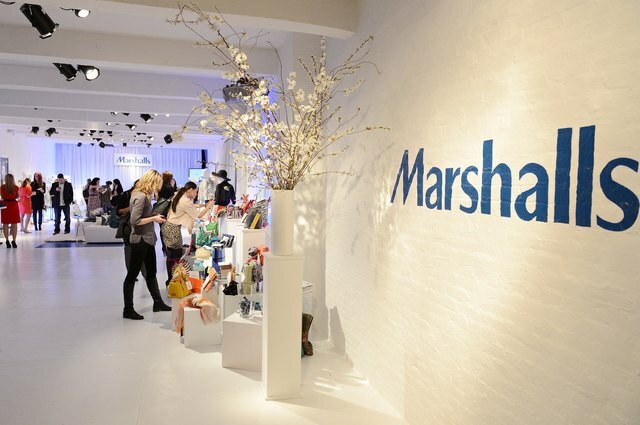 The 15 percent of stock that's past-season is labeled as such, Marshalls says. But in addition to buying retailers' overflow, off-price stores buy directly from manufacturers who make their products expressly for them to be sold at lower cost. Some clothing is slightly different from that made for department stores, but the difference in overall quality is barely noticeable, "Consumer Reports" said. Many people incorrectly believe that the clothes found at Marshalls are defective in some way. Although imperfect items occasionally slip through the cracks, the majority of the clothing you will find at Marshalls is the same items you would find in premium department stores. In most cases, the only difference between Marshalls and designer retailers is the price. Marshalls was founded in the 1950s by Alfred Marshall; the store's motto was "Brand Names for Less." The chain grew, and was sold in 1976 to Melville Corp., and then in 1995 to TJX, which also owns T.J. Maxx. Marshalls: Their Labels. Our Prices. But How Do We Do It?